Updates thanks to contributor Chris Cuomo. When one looks up ‘1510 Pittsburgh’ or something similar, WPGR-AM shows up, as a small signal member station of St. Josephs Mission and broadcasts Catholic programs 24-7. For whomever can hear the station’s 1000 watts.. or who tries at night, as the station transmits a whopping ONE watt! Well, okay, at least it’s still on the air. The attached apartment building (which was occupied at the time I was at the station) supposedly burned down around 2000. I’m going back home to Pennsylvania this month. If I get around to it – and if it’s safe – I’ll try to get some current photos. X-15 was considered to be, by some, an experiment. An experiment to see if Rock music could survive on AM. Launched in 1989 after the demise of WXVY (FM) and its Alternative Rock format, WXVX took up the banner for early Alternative and played a wide variety music, including breaking artists such as Nirvana and Pearl Jam. As you’ll hear on this recording, the jocks were anything but polished and the station’s promos and imaging left much to be desired by today’s standards. And according to Chad Stevens, who checked in immediately after this posted, the whole thing is true – that the air staff of this Alternative station was, indeed totally comprised of amateurs! Listeners loved it. Advertisers, apparently, hated it. X-15 made it till 1992, before changing formats to Urban. Imagine my surprise to see that it’s ME being featured on Airchexx.com! This was actually recorded in April of 1995 by me. It was my only experience on the air…at a licensed station anyway. 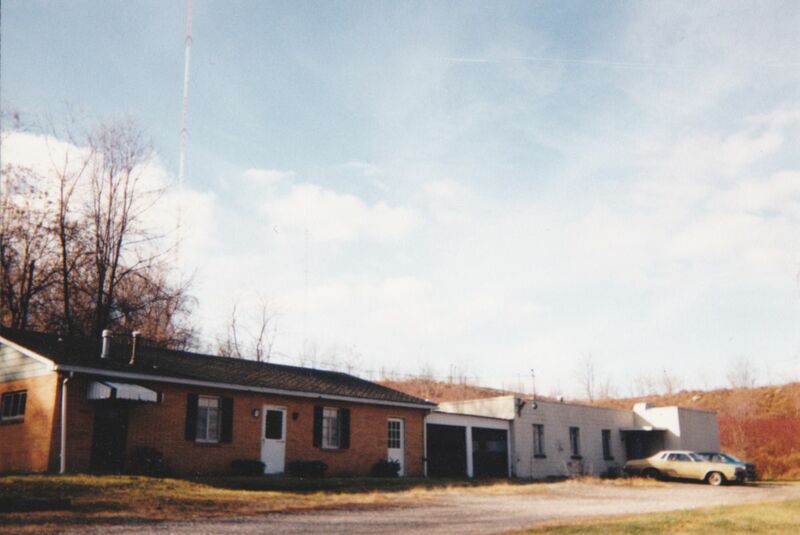 This sad looking abandoned building seen here was where the studio was at the time. It wasn’t in much better shape even then. There were squirrels running loose in the roof and the building was damp, musty, and cold. My car got stuck in the badly rutted gravel driveway on several occasions. 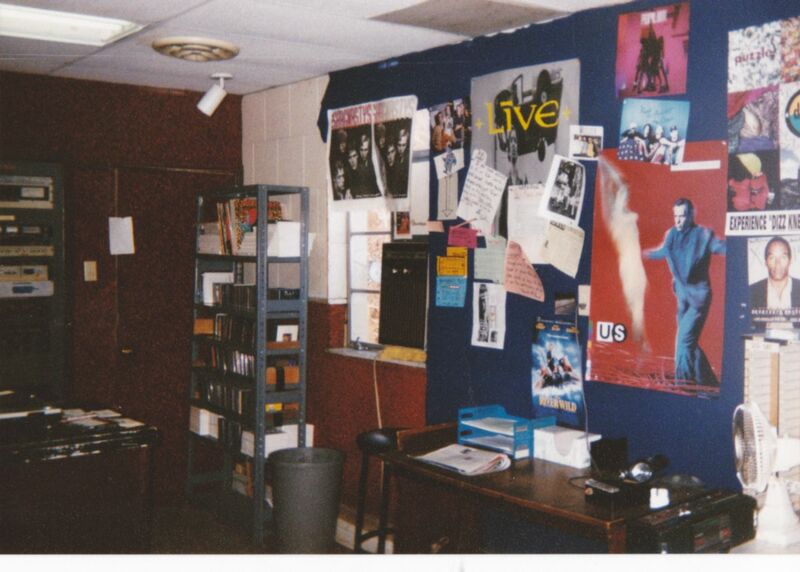 I was at the station Tuesdays and Thursdays from November 1994 through the end of the alternative format on New Years Day 1996 and I actually did what turned out to be the final airshift. Though I didn’t know it at the time. The station was sold and the new owners locked us out. I always figured I’d have more time to aircheck myself and never got around to making too many recordings of my time on the air. I can assure you, we were anything but professionals. Most of us were just high school kids or recent grads looking to get a foot in the door. No one ever got paid one penny. I was just hoping to get something to put on a resume and get a entry into the business. I got better sounding in later months but never really got around to making too many airchecks, figuring I’d always have time to make some new ones. 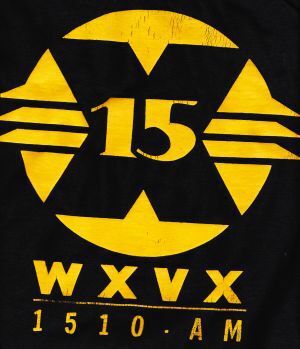 X-15 went on the air with the alternative format in 1989 to fill the void after the legendary “Double X” WXXP-100.7 (which you’ve got an aircheck of on the site) dropped the format. I got word that they would give anyone the chance to be a live DJ and I jumped at the chance. Of course relying on free labor to run the station can be dangerous. We had so many questionable people going through there that one night it was probably inevitable someone broke in by pushing out a window mounted air conditioner and stole just about every CD and piece of equipment there was in the studio. It had to be an insider or former insider as they knew exactly how to get in and out. I got a frantic call at home and brought in my own CD player and turntable from home and we went back on the air until new equipment could be secured. Paul Goodman was GM of the station. 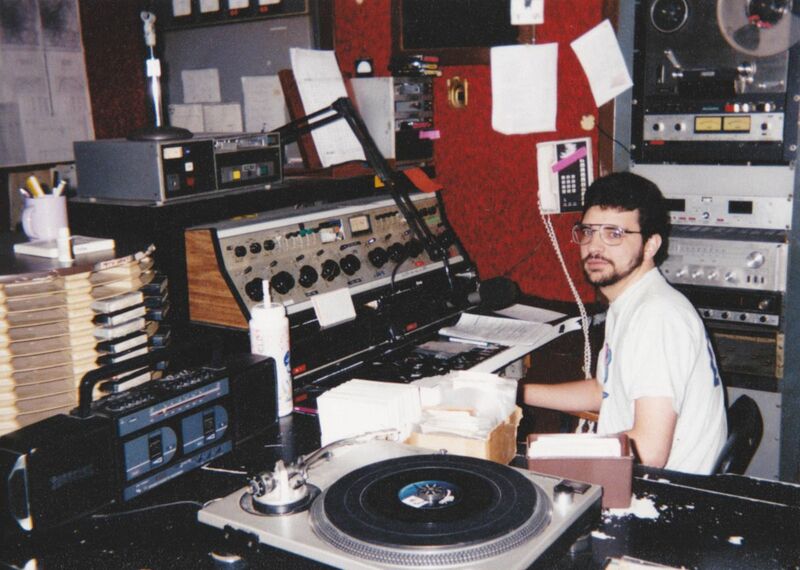 I think he had worked at other Pittsburgh FM stations in the 1980s. He is heard on the “$5 to read your message on the air” announcement. He had us volunteers on a very strict clock wheel and every song getting back sold. It was designed to make it simple for novices, but it really sounded wrong programming the music we did like it was a 1970s full service AM. Those were – for the most part – fun times, and I’m often left wondering “what if” I’d have tried to get a paying job in the radio business, where I might have ended up. I’ve scanned the station’s logo (off a station T-Shirt which I swear I’ll never get rid of) and I can dig up some studio photos and other airchecks for you. I might even try (if its safe) to get some photos of the building in it’s current state.